Lifestyle photographer Patrick Harrison has been continuing his brilliant and extensive work for Danish energy company, Ørsted. Shooting a wide variety of scenarios for the company's rebrand, the latest in the series focuses on outdoor life. 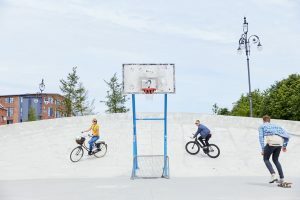 Shot on location in Denmark, these action packed images perfectly capture the fun of being out in the open air. Keep up the good work! Ask An Agent / Where Can I Find Footballers?